In this four-part series, we are taking a close-up look at some of the financial and operational challenges faced by wholesalers and manufacturers, as well as potential solutions that an outsourced CFO services provider can help implement. Not being aware of competitor and/or prevailing market pricing trends. Losing retailer deals to competitors because prices are too high. Not knowing what higher-margin and more profitable offerings to promote. Not optimizing buyer contracts and processes to obtain lower component acquisition costs. Today’s markets are as competitive as ever, and many buyers are still shopping with a price-first mentality — especially for commodity products. A major challenge for wholesalers and manufacturers is to establish value in the minds of customers for their products so customers don’t view them through the “commodity lens.” What value-added product or service features can you emphasize to customers that will justify a higher price than your competitors? Here’s another thing to keep in mind with regard to pricing: If the economy continues to grow, your sales emphasis should shift from low-margin, easy-to-sell products to higher-margin products that will enhance your profitability. A good way to accomplish this is to conduct a cost analysis to identify your higher-margin offerings. An outsourced CFO services firm can help you perform a cost analysis, which may result in greater revenue and higher profitability. Such a firm can also help you benchmark your pricing against competitors and prevailing market pricing trends, as well as apply best-practice buying processes (such as optimizing supplier contracts and joining buying groups to receive rebates and discounts) and lower your acquisition costs. This, in turn, will help increase your pricing flexibility. § Not having the expertise required to negotiate the most favorable accounts receivable and accounts payable terms with suppliers and retailers. § Not having the right accounting software to effectively manage receivables and payables. § Not extending appropriate credit terms to customers. § Not being able to collect receivables in a timely manner and according to the payment terms negotiated. § A review and assessment of all current contracts and terms — both upstream contracts with suppliers and downstream contracts with customers. Such a firm will also make sure all available discounts are being leveraged and maximized. § An assessment of current accounting functionality — especially in the areas of payables and receivables — to make sure you have timely access to the information you need. The services firm will also ensure that the information is historically accurate, and that it is capable of delivering actionable projections into the future so better credit decisions can be made and better credit terms granted. § The acquisition of credit insurance for customers who are experiencing financial issues. This insurance would cover current and future invoices if the customer goes out of business. In the current uncertain economic and business environment, Los Angeles and Southern California wholesalers and manufacturers can’t afford not to focus on pricing and credit management issues. 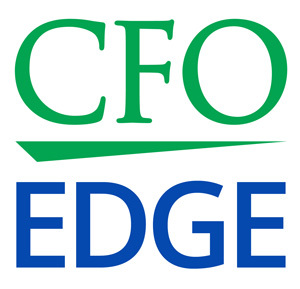 A provider of CFO services can offer invaluable assistance in these areas by helping you perform a cost analysis, benchmark your pricing, apply best-practice buying processes, review and assess your contracts and accounting functionality, and acquire credit insurance.